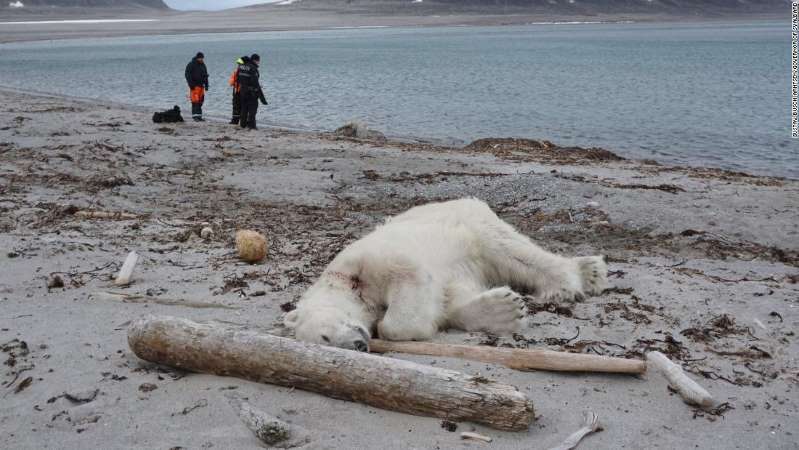 A polar bear was shot and killed after attacking a cruise ship guard, according to the German cruise company Hapag-Lloyd Cruises. [post_ads]However, they failed to spot one bear, who attacked one of the guards, the cruise line said. The other guards shot the bear after trying unsuccessfully to evict the animal, the company said.